As we’ve discussed, Steam’s implementation of third-party curation has been a bit of a mess. 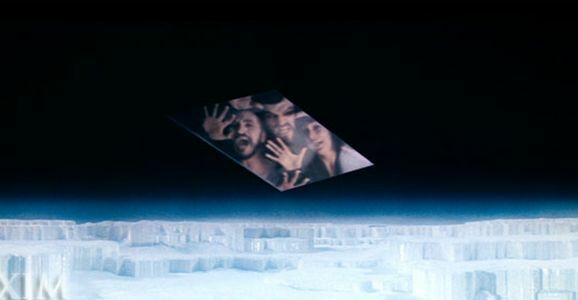 So it’ll be interesting to see how Sony fares now that they’re trying something similar. 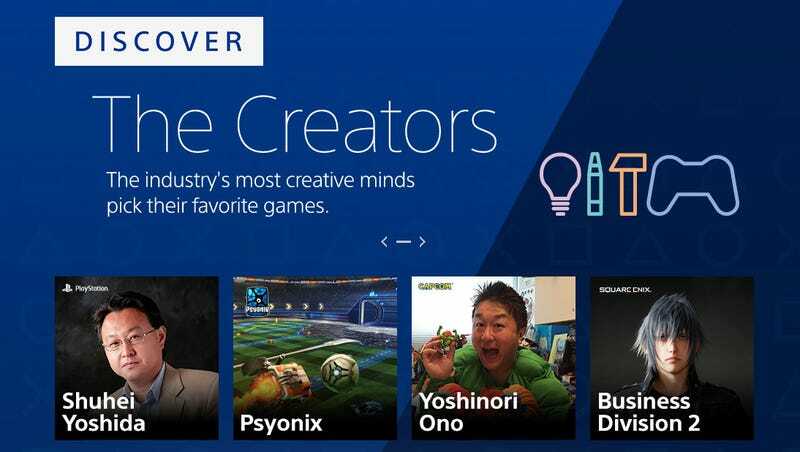 Launching today, The Creators is an attempt by Sony to get curation on the PlayStation store, only instead of turning to “influencers”, they’ve asked people responsible for actually making games to do it instead. The initial lineup of creators include PlayStation boss Shuhei Yoshida, the development team behind Final Fantasy XV, Media Molecule co-founder Siobahn Reddy and CAPY. Sure, there are some predictable and repeat choices—lots of people like good games, and most suggest their own releases!—but also some very useful spotlights for games you’ve probably missed/forgotten about, and which appear for the most part to be genuine recommendations. Yoshida gives a shout-out to the excellent Sound Shapes, for example (a game he used to talk about a lot on Twitter), while Rocket League creators Psyonix are here to remind us about Sportsfriends and VIDEOBALL. I’m curious to see where this goes. I never even look at curator recommendations on Steam, but short, sharp picks from PlayStation developers are something I’m more inclined to at least browse through, if only because it’s a simpler, more direct means of checking out someone’s selections. The Creators is live in the US store as you read this, but if it’s not available on your local store, you can still have a look via this link.